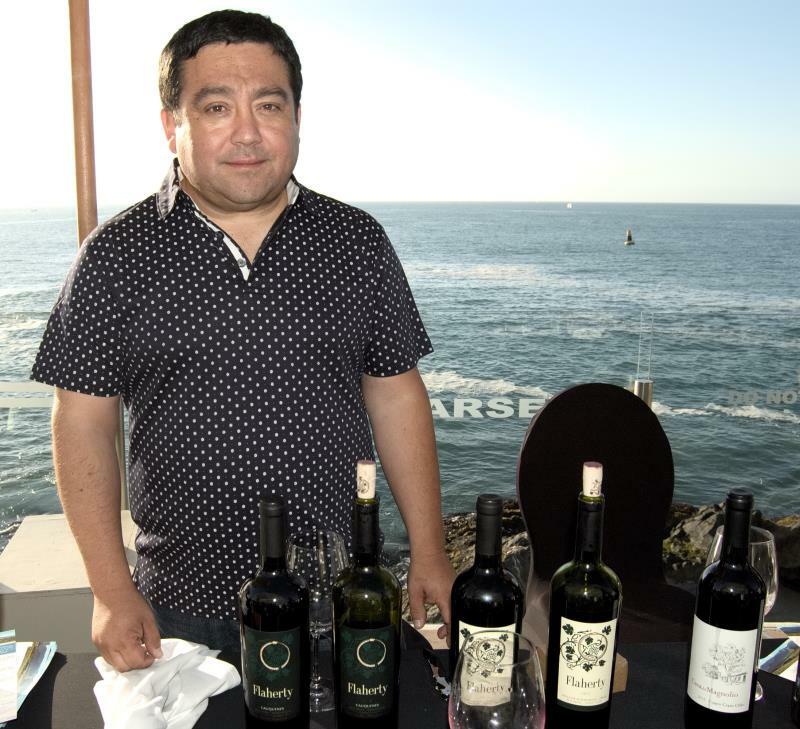 The golden glow of the late afternoon sun and deep blue backdrop of the Pacific Ocean provided an inviting ambience for the Vinoteca walkaround tasting Noche de Copas at the Sheraton Miramar in Viña del Mar on Friday. Summer-clad locals and tourists strolled from stand to stand, tasting a broad range of wines. The ice cold sparkling and crisp white wines were the firm favourite on this warm evening, with the reds coming into their own after sunset. I got my evening off to refreshing start with some crisp whites from Maule-based Bouchon Family Wines. 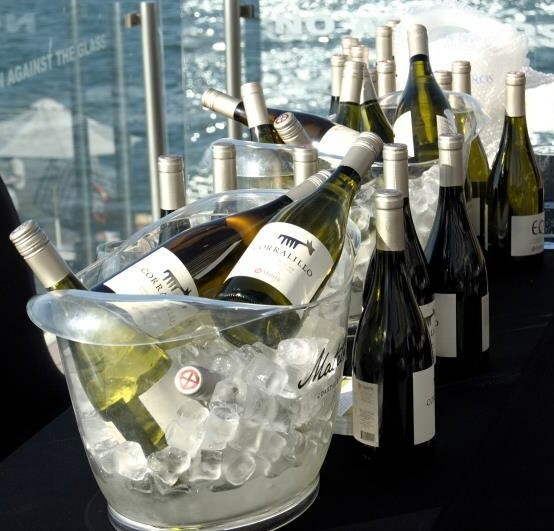 The Las Mercedes white range from coastal Maule are fresh, light wines made from dry-farmed grapes and subject to a cold maceration followed by stainless steel fermentation to keep them fresh and fruity. Las Mercedes Sémillon 2015 is a refreshing, light-bodied white with a lemon-fresh nose, perfect as a pre-dinner appetiser or to accompany seafood or salad. Las Mercedes Sauvignon Blanc 2015 has a light citrus aromas, together with crisp green apple and hint of green chilli pepper. Zesty acidity and an almost savoury flavour make this a good option for pairing with fish or shellfish. Mingre 2010 is a red blend comprising 40% Carmenère, 30% Cabernet Sauvignon and 30% Syrah. With extended oak-ageing, this is a big wine with grippy tannins and medium + body, ideal for pairing with red meat dishes. I’ve featured San Antonio-based biodynamic producer Matetic before and the wines I tasted on Friday were well up to their usual standard. EQ Chardonnay 2015 was made by whole-bunch pressing the grapes and then fermenting the juice with native yeasts in French oak barrels. This was followed by a partial malolactic fermentation and then 11 months’ ageing over the lees with some lees stirring. All this makes for a wine with a rich, complex texture, full body, fresh creamy acidity and moreish aromas of tropical fruit like pineapples and bananas. Perfect for late afternoon. EQ Pinot Noir 2014 was made with grapes grown in the Casablanca Valley just 10km from the Pacific to ensure slow ripening. The grapes were macerated and fermented in stainless steel with native yeasts and punch-downs were used to extract colour, tannins and aromas. Then the wine was aged for 14 months in French oak. The result is a wine with ripe red fruit aromas, like cherries and raspberries, together with notes of tobacco and forest floor. This is a well-balanced, food-friendly wine that makes for very pleasant drinking. Corralillo Winemakers Blend 2015 brings together 50% Syrah, 25% Malbec and 25% Cabernet Franc. This is a very elegant red wine with intriguing fresh red fruit and spice aromas, fresh, high acidity, medium body, medium + ripe tannins and a fairly long finish. This wine would pair well with a range of dishes, including beef or lamb, vegetarian casseroles and bakes and highly flavoured pasta dishes. Post featuring a visit to Matetic. 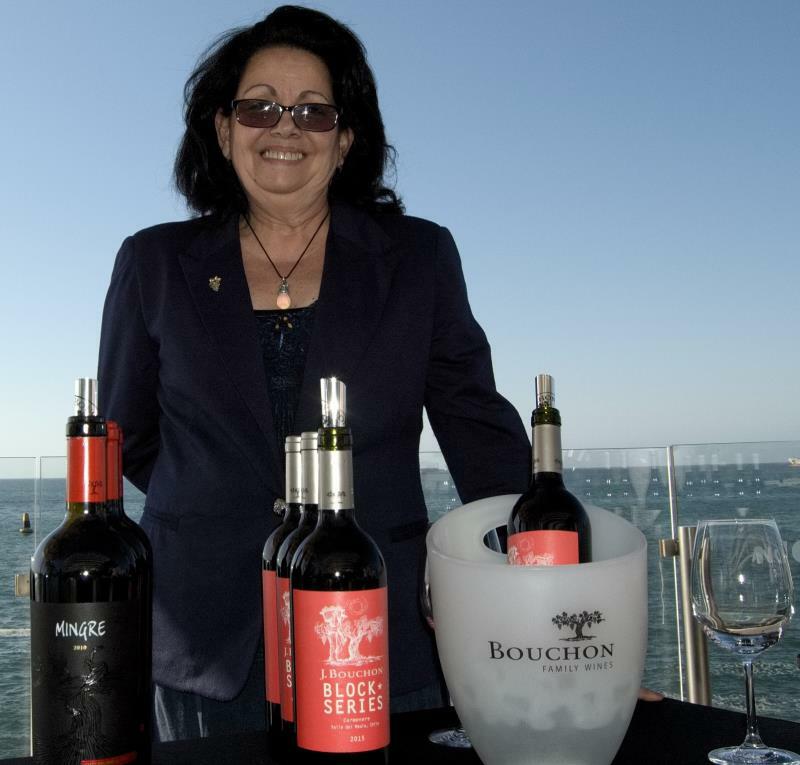 Flaherty Wines from Aconcagua were among the highlights at the event with three superb red blends. Casa del Magnolio was the lightest of the three, a blend of Cabernet Sauvignon and Syrah from Aconcagua, Petite Sirah and País from Cauquenes in Maule. With a lovely fresh blackcurrant nose, this is a light, fruity and refreshing wine that will go with a wide range of food. Flaherty 2015 brings together Syrah, Cabernet Sauvignon, Petite Sirah, Petit Verdot and Tempranillo in a rich, fruity wine perfect for red meat dishes. Flaherty Cauquenes 2015 is a heavyweight wine with great ageing potential made from dry-farmed and bush-trained Tempranillo, Petite Sirah and País from the warm vineyards of Maule, aged in oak barrels. The nose is expressive – dried fruits like figs and prunes, together with tobacco and violets. This wine tops the scale on all aspects: pronounced tannins, medium+ acidity, full body, long finish, very high alcohol (15%). Delicious but really needs pairing with a highly flavoured dish, such as slowed-roasted beef or lamb or a vegetarian bake topped with melted mature Cheddar cheese. I’d be interested to try this in another five years to see how it has evolved. More information about Flaherty Wines. More information about Vinoteca, the chain of Chilean wine stores that organized the event. What wines have you tried lately? Any you’d specially recommend?